Marion Cotillard Best Actress 2008 Oscar Winner 80th Academy Awards | Marion Cotillard in "La Vie en Rose"
Marion Cotillard 80th Academy Awards Best Actress Oscar Winner | Marion Cotillard in "La Vie en Rose"
Marion Cotillard won the 2008 Best Actress Oscar for her portrayal of the singer Edith Piaf in the film La Vie En Rose. Marion Cotillard as "Edith Piaf" in La Vie en Rose - This is her first nomination and her first Academy Award. The true story of her incredible destiny opens a window onto the artist's soul and into a woman's heart. The film "La Vie en Rose" follows Edith Piaf�s rise from the slums of Paris to the limelight of New York all the while struggling with her passionate romances and relationships with some of the greatest names of that time. The movie bears the title of her signature song: "La vie en rose." The song written in 1945 was voted a Grammy Hall of Fame Award in 1998. Born in Paris, Marion Cotillard most recently appeared opposite Russell Crowe and Albert Finney in director Ridley Scott�s A Good Year, based on the internationally bestselling novel by Peter Mayle. In 2004, Cotillard was honored with the Cesar Award for Best Supporting Actress for her role in Jean-Pierre Jeunet�s A Very Long Engagement. This followed two Cesar nominations for Most Promising Actress, the first for G�rard Pires�s Taxi (1998), the second for Gilles Paquet- Brenner�s Les Jolies Choses(2001). Cotillard appeared in two sequels to the action comedy Taxi, both directed by G�rard Krawczyk. On this side of the Atlantic, Cotillard made lasting impressions in director Tim Burton�s Big Fish (2004) with Ewan McGregor, Albert Finney, Jessica Lange, and Billy Crudup; and Abel Ferrara�s Mary(2005) with Juliette Binoche, Forest Whitaker, Matthew Modine, and Heather Graham. Cotillard will next be seen in L�Ennemi public n� 1 (Public Enemy No. 1) director Jean-Fran�ois Richet�s take on the story of Jacques Mesrine, one of France�s master criminals during the 1970s, starring Vincent Cassel and Alain Delon. Filming concurrently, the sequel, Death Instinct, will co-star Cassel and Casino Royale�s Eva Green. A spokesperson for Greenpeace, Cotillard was one of several actors, singers, and designers involved in �Dessins pour le climat,� a 2005 charity album, with all proceeds contributed to the environmental organization. Despite numerous published biographies, many facts and events of Edith Piaf's life are shrouded in mystery. She was born Edith Piaf Giovanna Gassion in Belleville, Paris, the high-immigration district later described by Daniel Pennac. Legend has it that she was born on the pavement of Rue de Belleville 72, but her birth certificate states she was born at H�pital Tenon, the hospital for the 20th arrondissement of which Belleville is part. She was named Edith Piaf after the executed British nurse Edith Cavell. Piaf - a Parisian colloquialism for "sparrow" - originated as a nickname she would receive twenty years later. Her mother, Annetta Giovanna Maillard (1895-1945), was a part-Italian native of Livorno, a port city on the western edge of Tuscany, Italy. She was working as a caf� singer under the pseudonym, Line Marsa. Edith Piaf received her middle name of Giovanna from her mother. Louis-Alphonse Gassion (1881-1944), Edith's father, was a street acrobat with a theatrical past. Little Edith Piaf was soon abandoned by her parents, left for a short time with her maternal grandmother, Emma (A�cha) Sa�d ben Mohammed (1876-1930), (a Kabyle). Shortly thereafter, Edith Piaf's father took the child to his mother, who ran a brothel in Normandy, and he then joined the French Army (1916). Thus, Edith Piaf was in contact with the prostitutes and the various attendees of the brothel since her early years, a circumstance which must have had a deep impact on her personality and view of life. From the age of three to seven Edith Piaf was said to be blind, while she suffered from conjunctivitis, and from eight to fourteen she was deaf and suffered from severe androgenetic alopecia. According to Piaf's biography she recovered her sight in what is known as a "miracle", after her grandmother's prostitutes pooled money to send her on a pilgrimage honoring Saint Th�r�se de Lisieux. In 1929, at fourteen, she joined her father in his acrobatic street performances. She then took a room at Grand H�tel de Clermont (18 rue Veron, Paris 18�me) and separated from him, going her own way as a street singer in Pigalle, M�nilmontant, and the Paris suburbs (cf. the song "Elle fr�quentait la Rue Pigalle"). She was about sixteen years old when she fell in love with a delivery boy, Louis Dupont. Shortly afterward she had a child, a little girl named Marcelle, who died in infancy of meningitis. In 1935, Edith Piaf was discovered by the nightclub owner Louis Lepl�e, whose club was frequented by the upper and lower classes alike. He persuaded her to sing despite her extreme nervousness, which, combined with her petite height of only 4' 8" (147 cm), inspired him to give her the nickname that would stay with her for the rest of her life and serve as her stage name, La M�me Piaf (The Sparrow Kid). Her first record was produced in the same year. Shortly afterward, Lepl�e was murdered and Piaf was accused of being an accessory, but she was acquitted. In 1940, Jean Cocteau wrote the successful play Le Bel Indiff�rent, intended for Edith Piaf as the star. She began to make friends with famous people, such as the actor Maurice Chevalier and the poet Jacques Borgeat. She wrote the lyrics for many of her songs and collaborated with composers on the tunes. In 1944, Edith Piaf Piaf discovered Yves Montand in Paris, made him part of her act, and became his mentor and lover. During this time, she was in great demand and very successful. Singing for high-ranking Germans at the One Two Two Club earned Piaf the right to pose for photographs with French prisoners of war, ostensibly as a morale-boosting exercise. She gave the photos to underground workers who made counterfeit passports for all 150 captives. After returning to the camp again, Piaf secretly transferred the passports to the Frenchmen, and some of them managed to escape. Today, Piaf's association with the French Resistance is well known, and many owe their lives to her. After the war, she toured Europe, the United States, and South America, becoming an internationally known figure. Her popularity in the United States was such that she appeared on the Ed Sullivan Show eight times and at Carnegie Hall twice (1956 and 1957). She helped to launch the career of Charles Aznavour, taking him on tour with her in France and the United States. Her signature song, "La vie en rose" (which was voted a Grammy Hall of Fame Award in 1998) was written in 1945. The great love of Piaf's life, the boxer Marcel Cerdan, died in a 1949 plane crash. Piaf was married twice. Her first husband was Jacques Pills, a singer. They married in 1952 and divorced in 1956. Her second husband, Th�o Sarapo, was a twenty-six-year-old hairdresser-turned-singer and actor, twenty years younger than Piaf. They married in 1962. By all accounts he was very taken with Piaf and doted on her till the end. In 1951 she was in a car accident, and thereafter had difficulty breaking a serious morphine addiction. The famed Paris Olympia concert hall is where Piaf achieved lasting fame, giving several series of recitals at the hall between January 1955 and October 1962. Excerpts from five of these recitals (1955, 1956, 1958, 1961, 1962) were issued on record and CD and have never been out of print. In April 1963, Piaf recorded her last song, "L'homme de Berlin". The grave of Edith Piaf, P�re Lachaise Cemetery, Paris at the early age of forty-seven, Piaf died of cancer at Plascassier, on the French Riviera, on October 11, 1963, the same day as her friend Jean Cocteau died. She was buried in P�re Lachaise Cemetery, in Paris. Although she was forbidden a funeral mass by the Roman Catholic archbishop of Paris (because of her lifestyle), her funeral procession drew hundreds of thousands of mourners onto the streets of Paris and the ceremony at the cemetery was attended by more than forty thousand fans. Charles Aznavour recalled that Piaf's funeral procession was the only time since the end of World War II that he saw Parisian traffic come to a complete stop. There is a museum dedicated to Piaf, the Mus�e Edith Piaf Piaf at 5, rue Crespin du Gast, 75011, Paris. Today she is still remembered and revered as one of the greatest singers France has ever produced. Cate Blanchett's fifth nomination and the second in this category. Cate was also nominated for her leading role in Elizabeth (1998). Her supporting role nominations were for The Aviator (2004), for which she won the Oscar, and Notes on a Scandal (2006). She is also nominated this year in the supporting category for I�m Not There. Julie Christie's fourth nomination in this category. Her other nominations were for Darling (1965), for which she won an Oscar, McCabe & Mrs. Miller (1971) and Afterglow (1997). Laura Linney's third nomination and the second in this category. Laura was nominated for her leading role in You Can Count on Me (2000) and her supporting role in Kinsey (2004). Ellen Page's first Academy Award nomination. "No Country For Old Men" is a mesmerizing thriller from Academy Award-winning filmmakers Joel and Ethan Coen, based on the acclaimed novel by Pulitzer Prize winning American master, Cormac McCarthy. The time is our own, when rustlers have given way to drug-runners and small towns have become free-fire zones. "Can�t we just kick it old school? I could just put the baby in a basket and send it your way. You know, like Moses in the reeds." Meet Juno MacGuff (Ellen Page) � a confidently frank teenage girl who calls the shots with a nonchalant cool and an effortless attitude as she journeys through an emotional nine-month adventure into adulthood. Quick witted and distinctively unique, Juno walks Dancing Elk High's halls to her own tune - preferably anything by The Stooges - but underneath her tough no nonsense exterior is just a teenage girl trying to figure it all out. George Clooney stars in the title role of Michael Clayton, a "fixer" at Kenner, Bach & Ledeen, a top Manhattan law firm. A former criminal prosecutor from a working-class neighborhood, Clayton is an anomaly at the white-shoe firm; in spite of his 15-year tenure, he has not been promoted to partner and probably never will be. His boss, Marty Bach, sees Clayton as an invaluable asset to the firm, but only in his "niche," one that is relegated to cleaning up the firm�s sticky situations quickly and quietly. 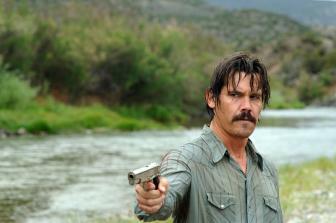 "There Will Be Blood" Received nominations for best picture, best director and best actor. A sprawling epic about family, faith, power and oil, THERE WILL BE BLOOD is set on the radical frontier of California�s turn-of-the-century petroleum boom. 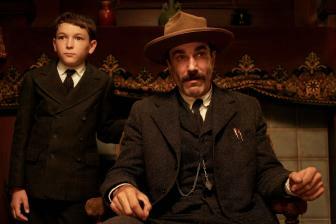 The story chronicles the rise of one Daniel Plainview (Daniel Day-Lewis), who transforms himself from a down-and-out silver miner raising a son on his own into a self-made oil tycoon. 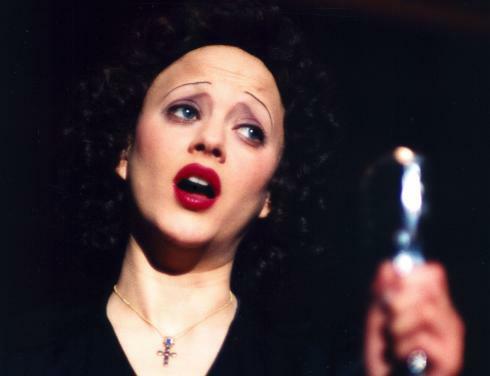 Marion Cotillard as Edith Piaf in "La Vie en Rose"